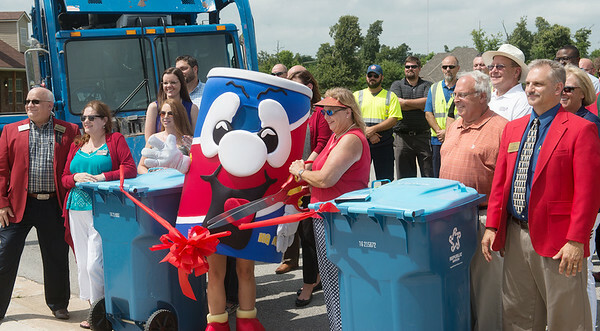 Mary Anne Phillips, City of Joplin recycling coordinator, helps cut the ribbon on Tuesday to recognize the start of the curbside recycling program offered by Republic. The ribbon cutting happened at the home of the Williams family, which was one of the first households to sign up for the service. Since the service started last month, about 1,100 homes have signed up.